Arriving at the meeting of European Union leaders in Brussels, she told reporters: “The spying isn’t all about me. Trust with the U.S. can only be built on mutual respect.” She added that spying on “friends” is misguided. On Wednesday, the German government said it had received information that the chancellor's mobile phone has possibly been monitored by American intelligence services, government spokesman Steffen Seibert said in a news release. E.U. leaders are due to discuss Europe’s digital economy, including plans to make cross-border e-commerce easier and taxing Web-based content and services providers. Leaked documents showing the draft conclusions of the summit do not include any mention of NSA, spying, or mass surveillance. But Merkel’s comments and recent allegations that the NSA may also have spied on France are likely to mean it will make it onto the agenda. Meanwhile, Germany's foreign minister summoned the U.S. ambassador to Berlin to discuss the allegations. The U.S. ambassador to the Federal Republic of Germany, John B. Emerson, will meet with foreign minister Guido Westerwelle Thursday, a spokeswoman at the federal foreign office confirmed on Thursday. "He will be informed of the German government's position in no uncertain terms," the spokeswoman said, adding that this was all she could say. Merkel discussed the matter with President Barack Obama by phone and made it clear that, should the information prove true, she unequivocally disapproves of such practices and views them as totally unacceptable, Seibert said. Such monitoring of communications of a head of government simply must not occur among close friends and partners, he said, adding that this would be a serious breach of trust. During the phone call, Obama assured Merkel that the U.S. "is not monitoring and will not monitor the communications of chancellor Merkel," according to a White House news release on Wednesday. The release did not mention past monitoring. Merkel expects that the U.S. authorities will provide clarification about the potential scope of such monitoring practices, said Seibert. High-level talks already took place in Berlin with White House and U.S. State Department officials in an effort to clarify the issues, he said, adding that these talks must continue. 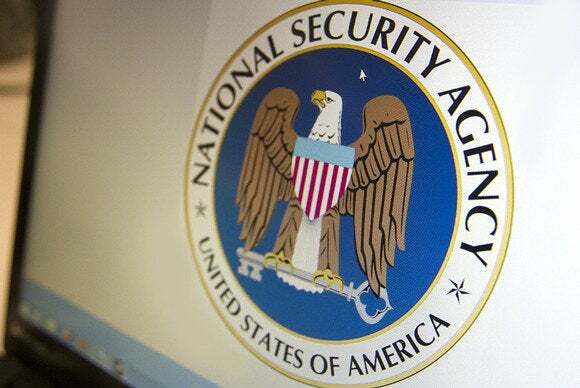 The meetings between German and American officials follow months of news reports on the U.S. National Security Agency's surveillance programs. The revelations began in June, when The Guardian and other newspapers published leaks by former NSA contractor Edward Snowden about massive data collection efforts at the agency. The NSA has been collecting large numbers of U.S. phone records and overseas Internet communications for years, according to the leaked information. Recently, revelations have emerged about U.S. spying in foreign countries and on heads of state. On Monday, French Foreign Minister Laurent Fabius summoned the U.S. ambassador to explain allegations that the NSA spied on French telecommunication companies and gathered data on millions of phone calls. On Sunday, the Mexican government condemned the NSA's alleged hacking of its former president's email.